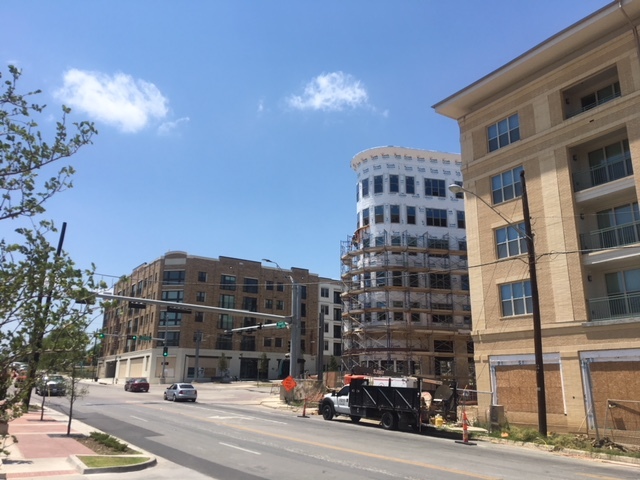 Builders of Hope CDC’s affordable condo project in the Bishop Arts District, the Saragosa (seen in the foreground), will make homeowners of Dallasites that might not otherwise be able to afford to enter the market (Photos courtesy 3D Immersion Tours). 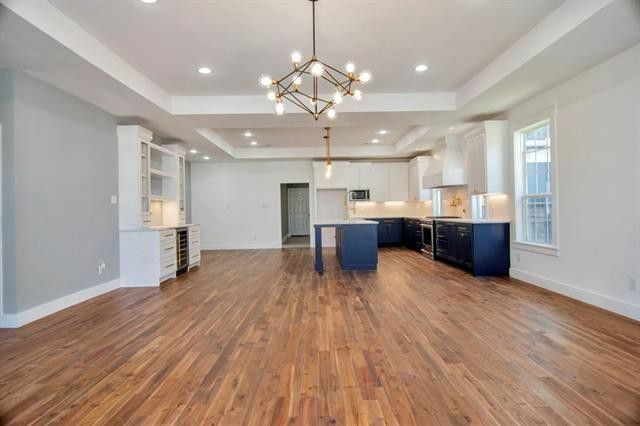 Bethany: We talk a lot about affordable housing, but it’s always interesting to see someone with boots on the ground, creating opportunities for more families to become homeowners. 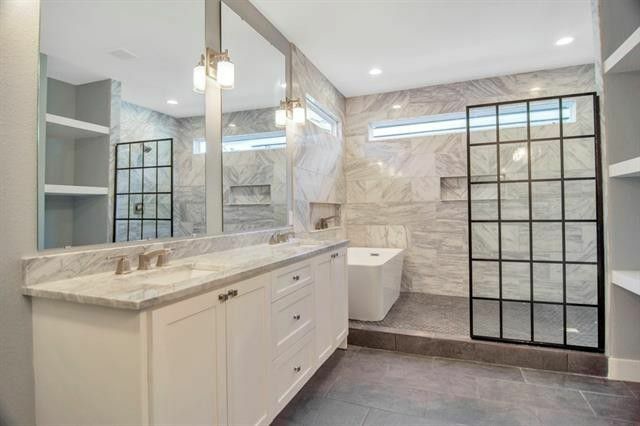 When I saw a listing from Builders of Hope CDC’s Saragosa project, I reached out to find out more. 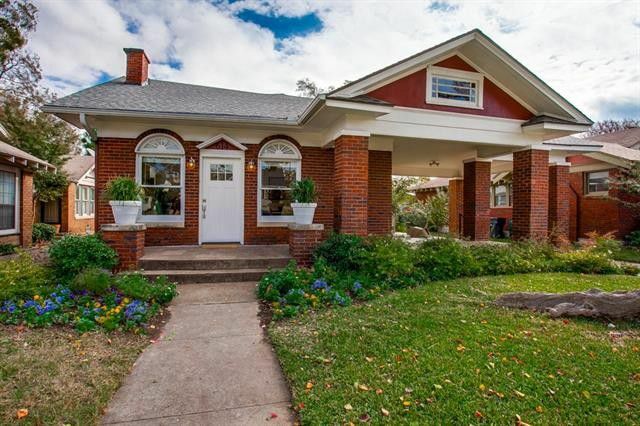 As new construction of single-family homes continues to become more expensive, even existing homes in affordable price points can be as fine as hen’s teeth in high-demand areas like the Bishop Arts District of Oak Cliff. 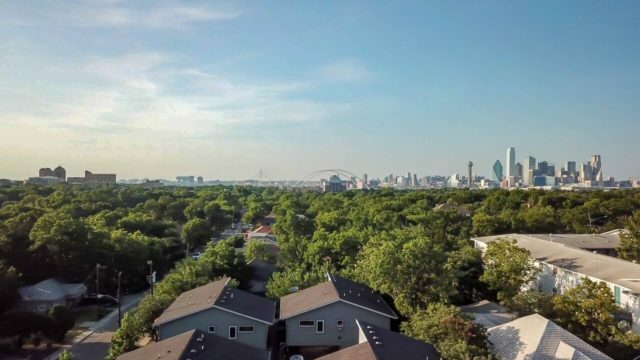 But one community development corporation is aiming to change that — starting with one condo development. A new familiar sight in North Oak Cliff. 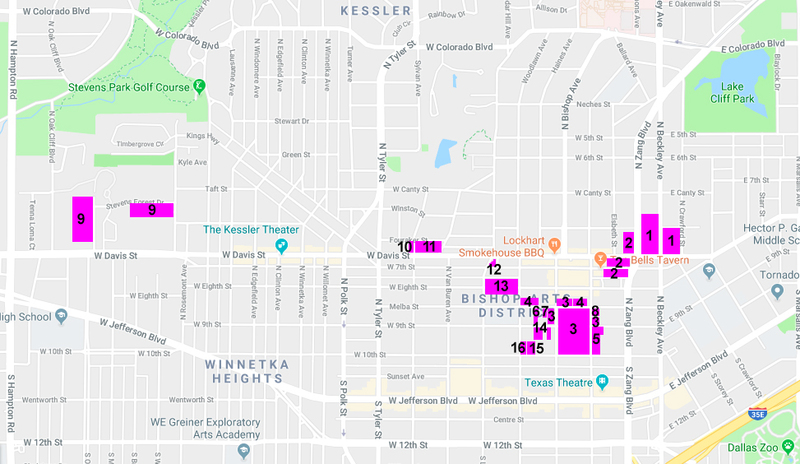 In the first part of this overview we covered the big development projects under construction immediately around the Bishop Arts District (projects numbered 1-8 on the map below.) Driving through the neighborhood, it’s unbelievable how much construction is occurring simultaneously. Over $330 million according to my calculations. Not to mention all the road work and utility work: the extension of parallel parking further south on Bishop Ave has wrapped up, Adams Street has been widened, Melba and Madison will get a facelift as soon as the utility work is complete, and Jefferson’s having new brick crosswalks and beautified medians constructed. 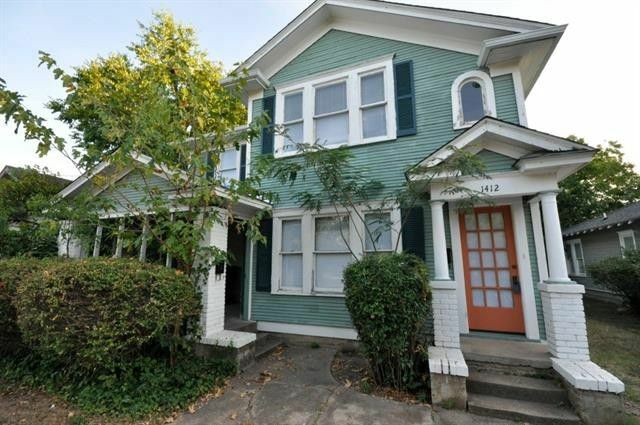 Real Estate projects under construction or in development in North Oak Cliff. 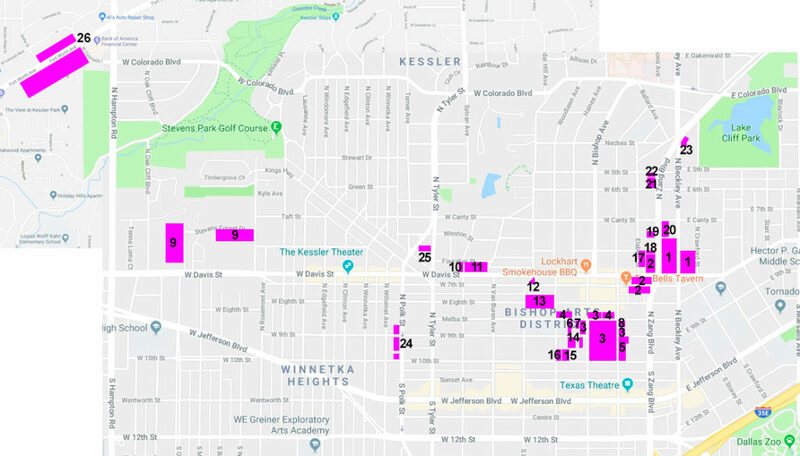 The road reconstruction in North Oak Cliff isn’t over yet though: soon the Tyler-Polk Two-Way conversion will be under construction (planned completion in 2019) and a “complete streets” redesign of Davis Street was on the agenda in 2014 when the City Design Studio completed a thoroughfare study. Who knows when that will get funded. Hopefully not for a while — we’re all getting a bit of construction-fatigue. 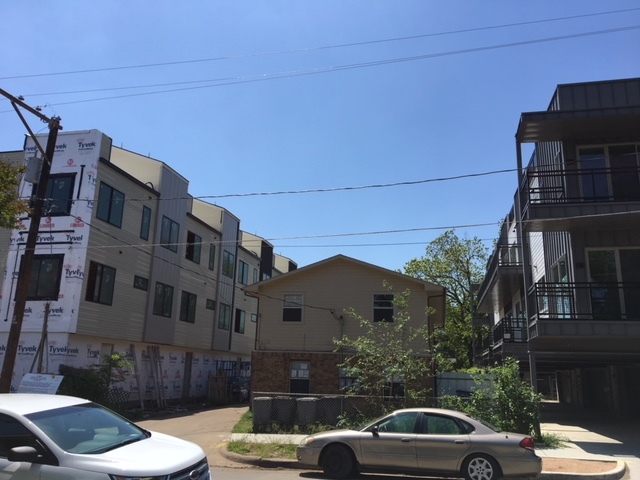 Here’s the skinny on the development projects sprinkled all over the North Oak Cliff neighborhood, in various phases of development. Note the project numbers corresponding to the map above.